Paris is not only for the Eiffel Tower and Champs-Elysees. In the heart of the city there is an oasis of peace where you learn to know and love the plants and animals: the Jardin des Plantes. It is the largest and most important Botanical Gardens of France; built in the seventeenth century, it is located in the 5th arrondissement of Paris, on the Left Bank of the Seine River and has an area of 28 hectares. A charming place, where you can spend a day strolling to discover the numerous greenhouses, with many different plant species, the galleries, the historical zoo, the botanical school, and the many educational workshops for children and exhibitions that are held in it. 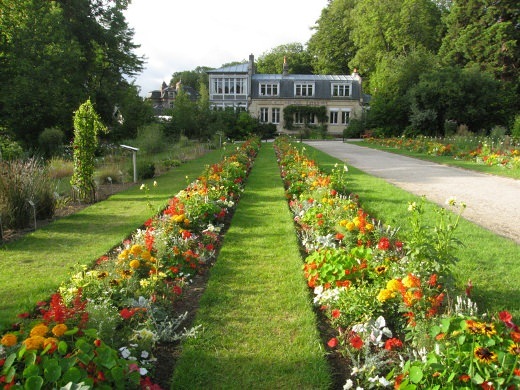 The beauty of the Jardin des Plantes is that free entry; a visit in particular dedicate tp the Alpine garden, which houses about 3,000 species of plants from all over the world. Don’t forget to pay a visit to the Rose Garden, one of the newest parts of the Botanical Garden, which houses hundreds of species of rose plants. Given its size, you can be accessed at the Jardin des Plantes from different parts: the main entrance is on the Rue Cuvier, or get off at the stops of the Metro Quai de la Rapee, Gare d’Austerlitz, Jussie, Censier-Daubenton.